Keeping your salon spotlessly clean is essential for its success. Working with salon products can get really messy for both your clients and staff. 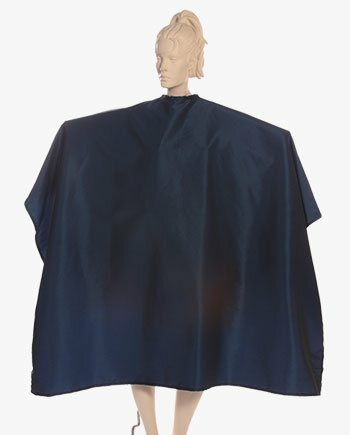 If you’re looking for a convenient, one-stop solution to this problem, Salonwear brings to you a wide range of top quality salon hair cape apparel, each designed carefully to serve its specific service requirement. 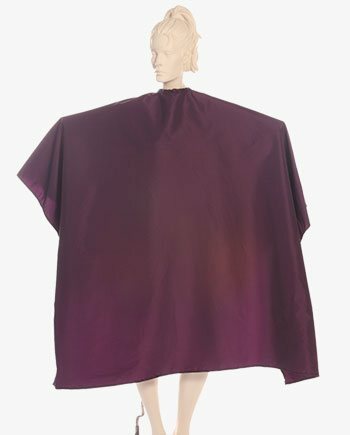 Our wide range of super capes provides the right kind of coverage and comfort to make the whole salon experience a great one. 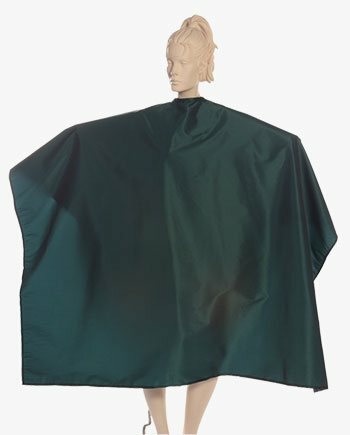 The extra length of the super cape makes them unbelievably comfortable, providing maximum protection and coverage, and keeping your customers free of hair strands and liquids. 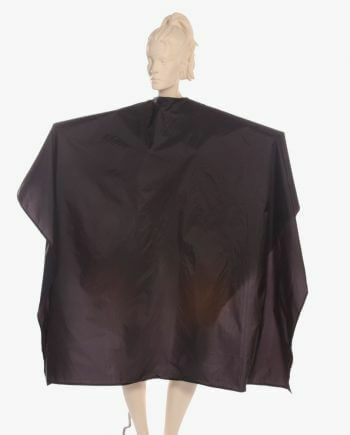 The capes are super lightweight; the innovative fabric is highly durable. All the capes are color and bleach proof too, except those in White and Chrome, which are resistant. 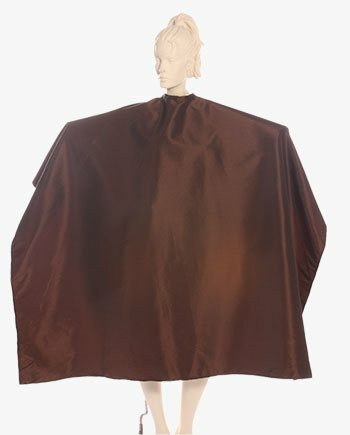 We also have the vast collection in salon capes, makeup capes, printed capes, comb out capes, kids capes, capes for kids, waterproof capes etc. 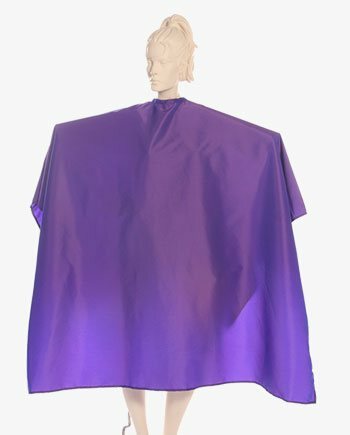 Each super cape is a top quality product made from fabrics like Silkara Iridescent, Oxford Nylon, and waterproof Nylon Taffeta. 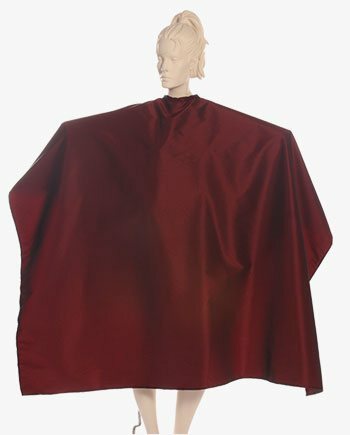 The luxurious fabric gives it a feel-good texture and makes it durable at the same time. 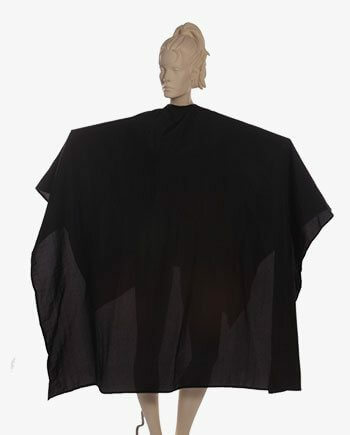 The best part is the ‘one-size fits all’ with large dimensions that provide the apparel with an adjustable closure that is easy on the body, especially on the neck (upto 24” inches neck space). 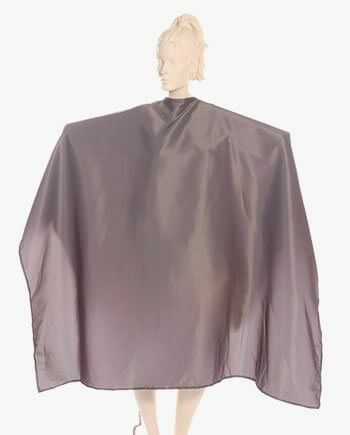 The six snap closure on the front makes it the right fit for each client- super capes for men, women and barbers. Apart from the classic black and white, we offer a vibrant and exciting range of assorted colors to jazz up your salon- Burgundy, Wineberry, Dark Green, Chrome, Bronze, Purple, Brown and Navy Blue. These striking colors are sure to keep your salon looking fresh and impressive. Why should you choose Salonwear? 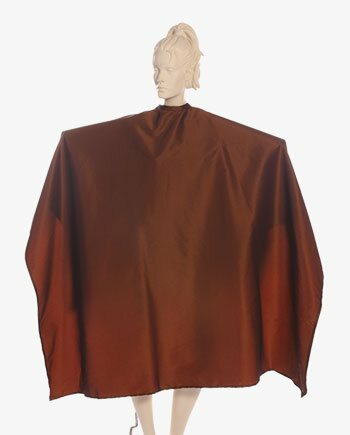 Being the industry leader in salon apparel in the United States of America for the last 31 years, Salonwear has become an extremely trusted brand over the years. Our team truly believes in delivering top quality products, making our large number of customers repeat buyers. 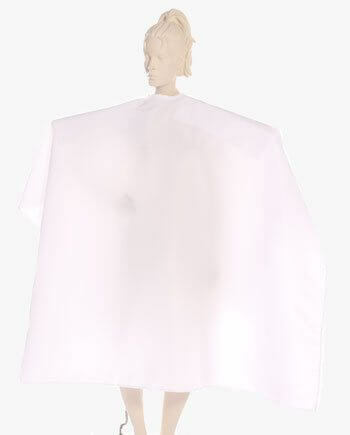 By offering trendy and innovatively designed fabrics, Salonwear is sure to make your salon stand out. We strive to be different from the rest. Along with our apparel offerings, we also help you establish your brand by providing various customization services. Why? Customizing your logos on apparels not only represents the authenticity of your salon and reinforces your brand identity to the customers but also gives the whole salon environment a professional look. The customers are sure to take away lasting impressions. How? The logo customization can be done through Embroidery and Screen Printing on selected products. We are a family business where our experience and knowledge about this industry helps us serve our customers’ requirements well. Keeping our customers happy is our topmost priority. 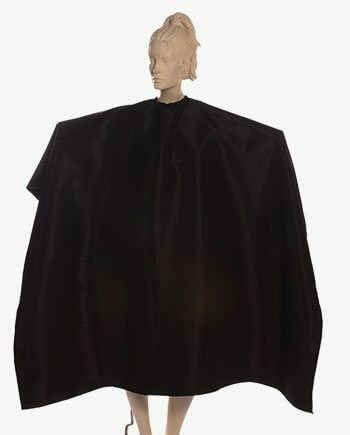 Copyright 1997 - 2018 Salonwear.com | All RIGHTS RESERVED.